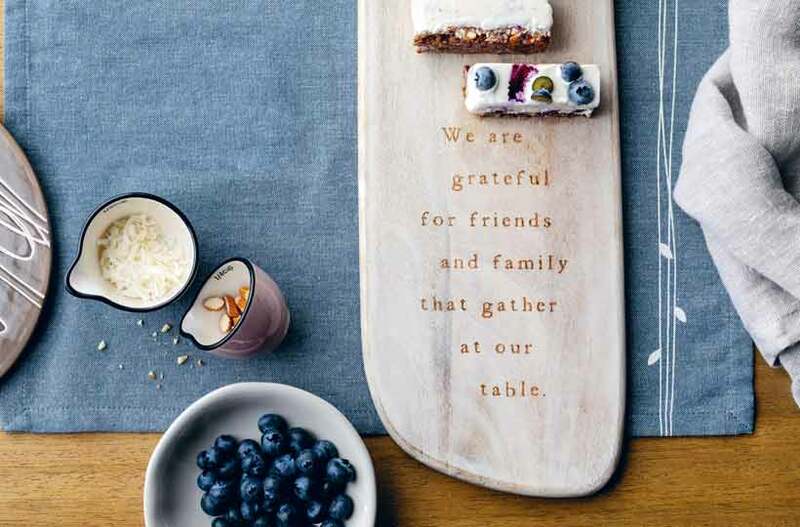 Our mission is to Lift the Spirit in consumers, in each other, and in our communities — during times of celebration, when comfort is needed, or just to put a smile on someone’s face. This includes supporting people and organizations who Lift the Spirit. We are grateful for their service and opportunities to support their work — financially or by volunteering time. 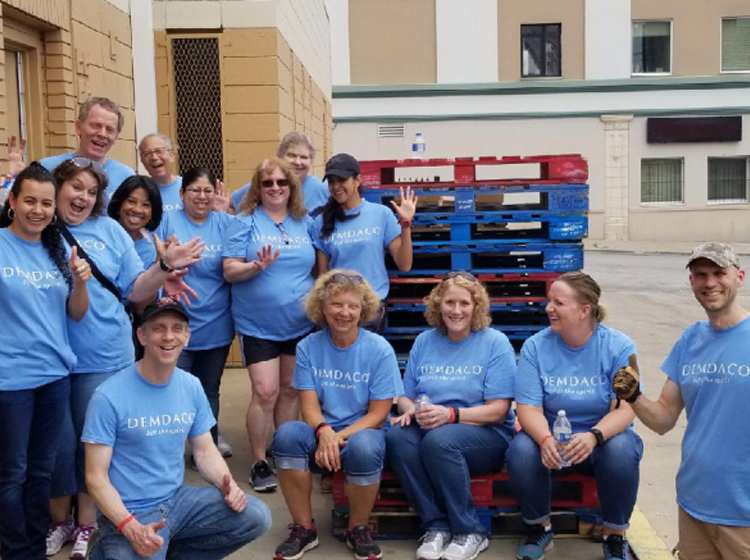 On June 13, DEMDACO closed its offices for Giving Day, when all colleagues spent time in the community supporting a variety of organizations instead of performing their typical job duties. We learned a lot on the day working in the community and living out our mission to Lift the Spirit. It was a great, inspiring day for us all, and here are some of the organizations whose work we got learn from and visit. 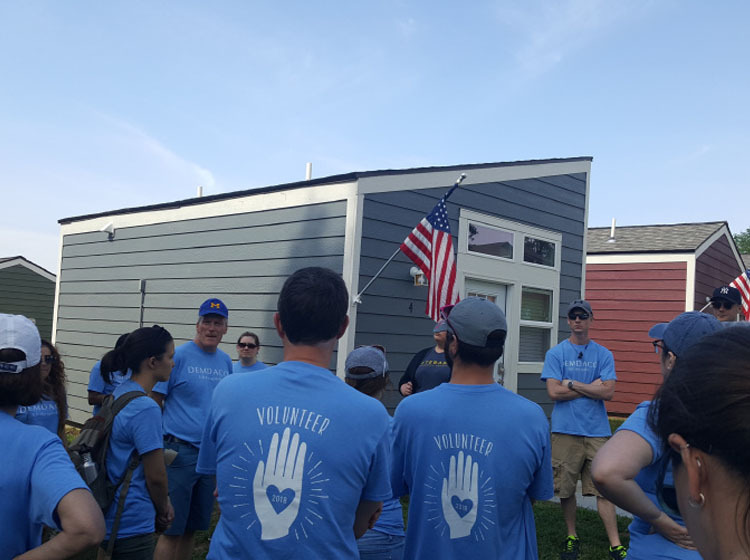 The Veterans Community Project in Kansas City exists to end veteran homelessness. Some of our colleagues spent time there on Giving Day, supporting a number of projects – from performing maintenance on homes to assembling tools and writing supporter thank you notes. In addition to the hours spent working on projects with the Veterans Community Project, DEMDACO also provided financial support. Over the years, DEMDACO colleagues have worked on several Habitat for Humanity projects in local communities. 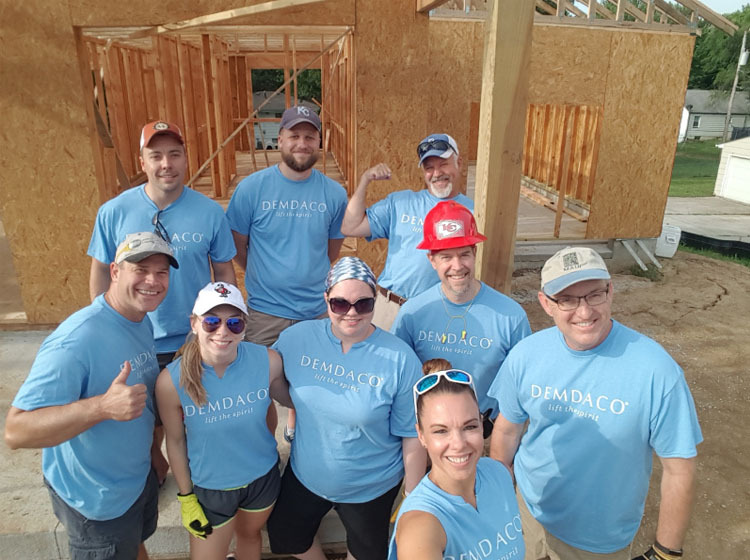 On this year’s Giving Day, Team DEMDACO helped build roof trusses on a new home for a family in need. Hope House's mission is to break the cycle of domestic violence by providing safe refuge and supportive services that educate and empower those impacted by domestic violence. Hope House advocates for social change that protects and engenders a person's right to live a life free of abuse. 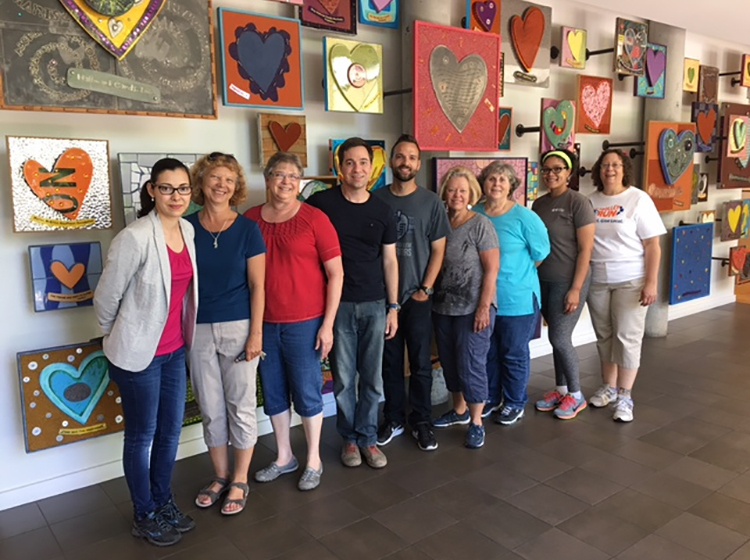 DEMDACO colleagues helped with various tasks on their Giving Day visit to Hope House that included moving furniture, books and toys to make room for Day Care Center improvements. 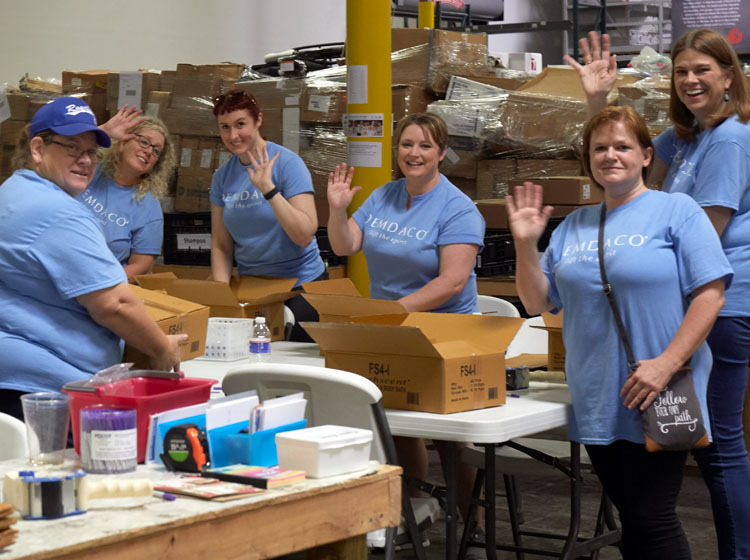 On Giving Day 2018, DEMDACO colleagues assembled hygiene kits for people in crisis all over the world. In 2017, DEMDACO made financial contributions of more than $5,000. After the Harvest is a hunger-relief nonprofit organization that works with produce industry partners to provide fresh, nutritious fruits and vegetables to feed people in need in Missouri and Kansas. Volunteers glean after the harvest, picking what’s left in farmers’ fields and picking up already harvested leftover produce. DEMDACO volunteers picked apples on Giving Day. Mission Adelante, which means Mission “Go Forth” in Spanish, is an Evangelical mission and church founded by Jarrett and Kristen Meek in 2005 as an outreach to Latino immigrants. Their work in the Kansas City area involves community development work focused on helping refugees. 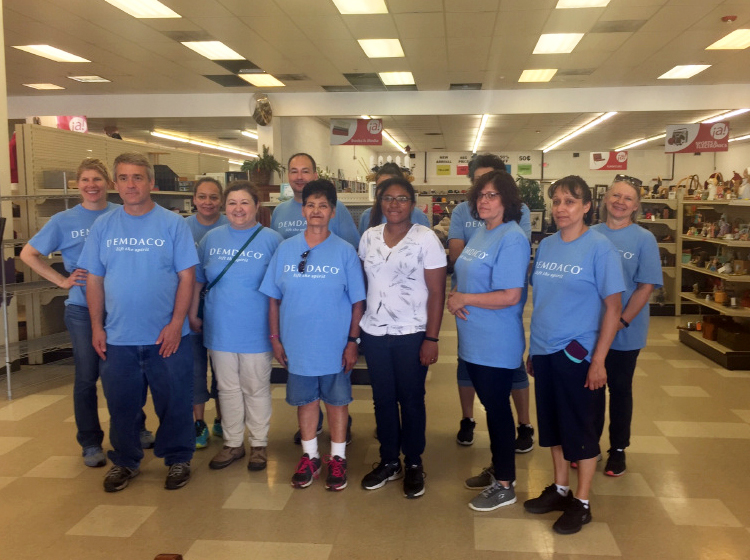 DEMDACO employees spent time at Mission Adelante organizing donations and support community outreach in the organization’s thrift store. 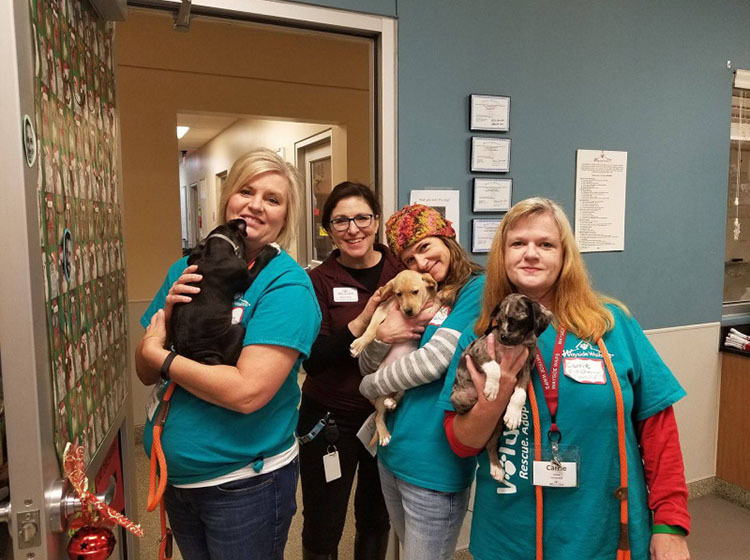 DEMDACO employees have a long history of supporting Wayside Waifs, and organization committed to finding homes for all adoptable pets. Wayside is the largest pet adoption campus in Kansas City, placing over 5,400 animals each year in loving forever homes. Wayside does not euthanize adoptable animals, and there are no time limits for animals in our care. 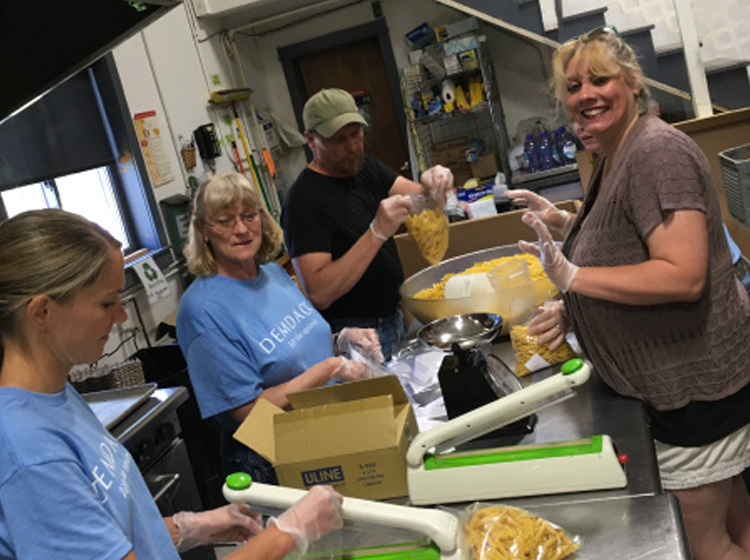 We’ve been fortunate to help out in a number of ways, but recently a team of colleagues spent most of a day there sorting laundry, towels and blankets; loving on animals; and assembling packs of dog treats. 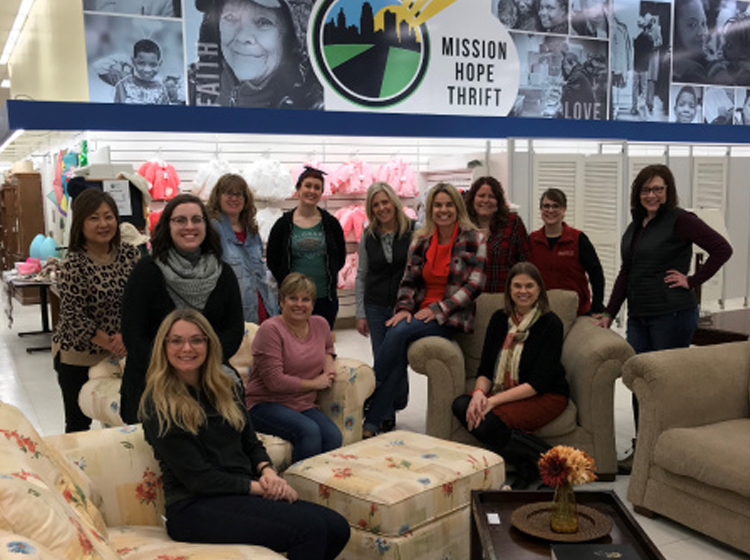 DEMDACO’s Minneapolis colleagues have donated much of their time and resources to Bridging over the years, an organization serving the greater Twin Cities that provides donated furniture and household goods to families and individuals transitioning out of homelessness and poverty. Bridging gives hope – and for many – a leap toward financial stability for the first time. 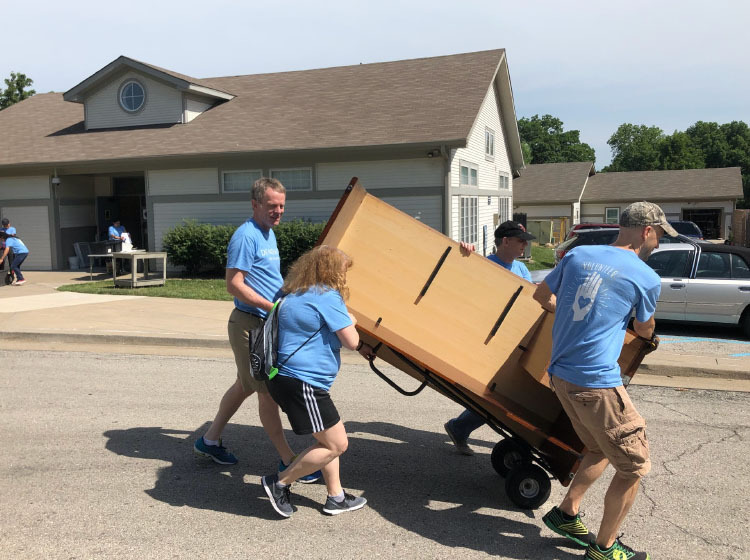 With locations in Roseville and Bloomington, Bridging is driven by volunteers and donations of basic home essential items from the community. Since 1987, Bridging has served nearly 90,000 local Twin Cities households, and reduces landfill space by 10 million pounds each year. 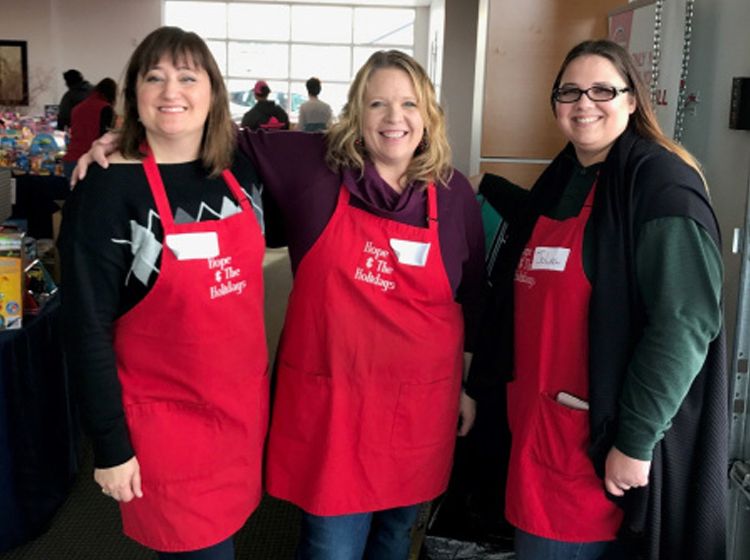 Our Montana colleagues recently helped organize food at The Gallatin Valley Food Bank, whose mission is to improve food security throughout Southwest Montana. 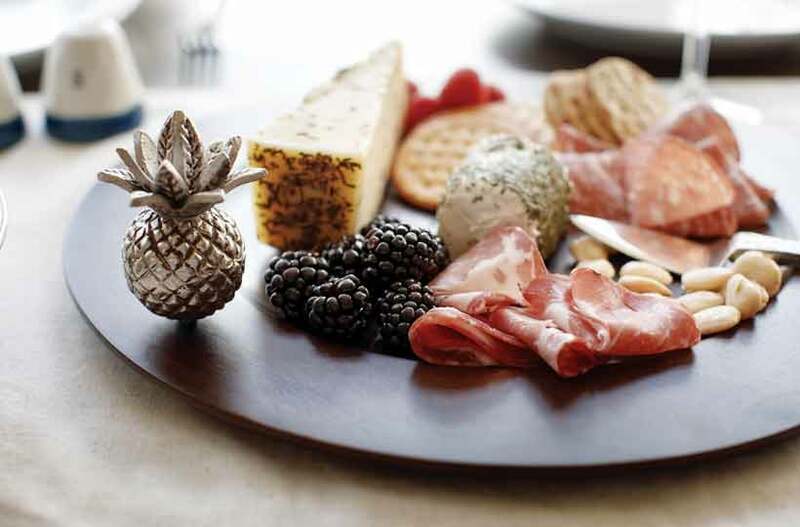 The GVFB, we look to create sustainability and to develop healthy paths for our clients to choose from. We will continue to advocate and support our community through our work, partnerships, and commitment to improving food security. Since 1924, City Union Mission has provided warm beds, nutritious food and a place of safety for thousands of poverty-stricken and homeless men, women, and children. City Union Mission receives no government support and depends completely on the gifts of God’s people – individuals, churches, groups, foundations, and businesses who have a heart for the poor and homeless in Kansas City. DEMDACO was fortunate for the opportunity to work with this dynamic by helping to organize their food kitchen. 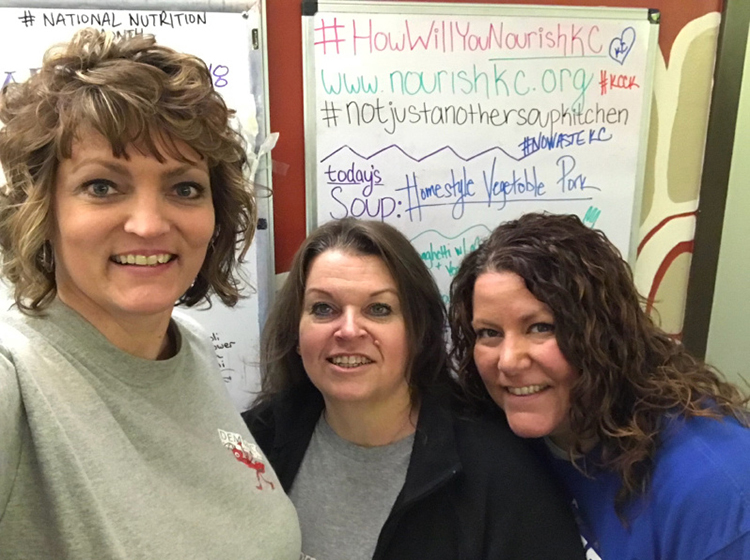 NourishKC operates the Kansas City Community Kitchen, which provides a freshly prepared, balanced meal to all who come for breakfast and lunch every weekday. They prepare people for culinary jobs through the Culinary Cornerstones training program, focused not just on how to get a job, but also on how to keep a job and navigate life. 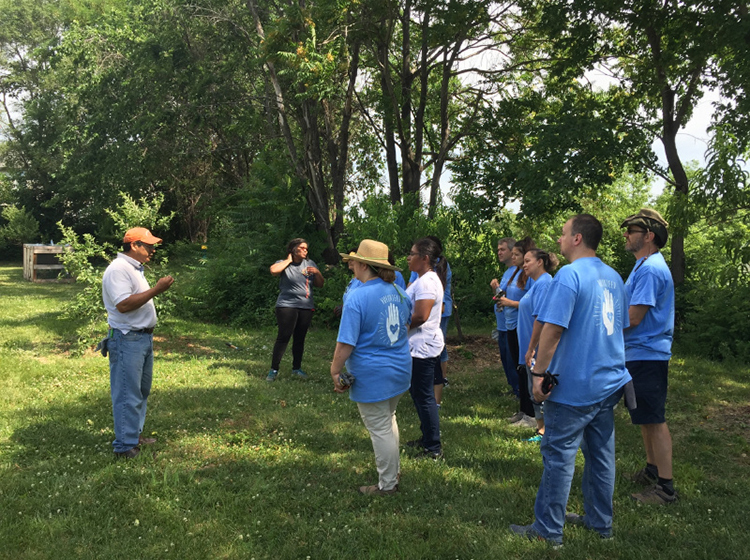 In addition, they oversee a food security network of more than 20 sites around Kansas City that provide food through pantries, meal programs, and community garden projects. DEMDACO colleagues have been involved in serving meals and working in the Community Kitchen. Ronald McDonald House Charities of Kansas City keeps families close to their sick children while they get the care and supportive services they need. 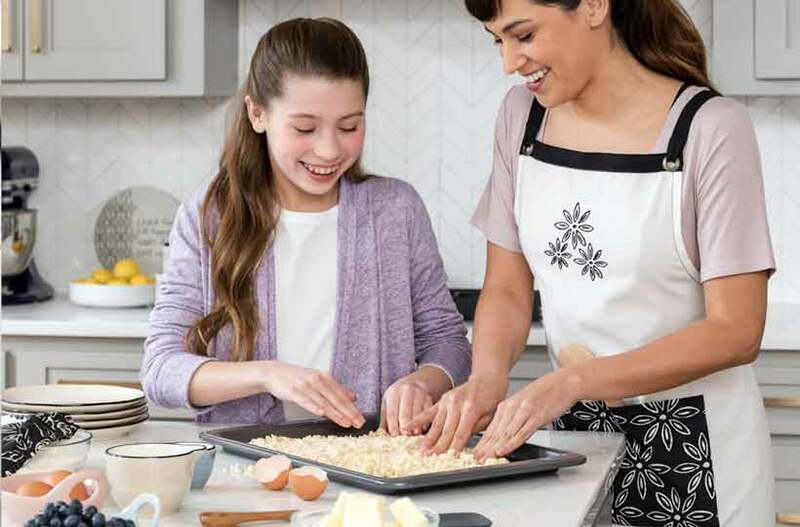 On any given night, Ronald McDonald House Charities of Kansas City (RMHC-KC) serves 87 families. In 2017, their Houses and Family Room provided comfort and care to 7,325 families as well as opened its doors to support over 60,000 visits from family and friends of in-patients at Children’s Mercy. DEMDACO President Lance Hart enjoys spending time serving breakfast and other service work at RMHC-KC. Hope Faith Ministries is dedicated to meeting the physical, emotional and spiritual needs of homeless and impoverished men, women and children in the greater Kansas City metro. 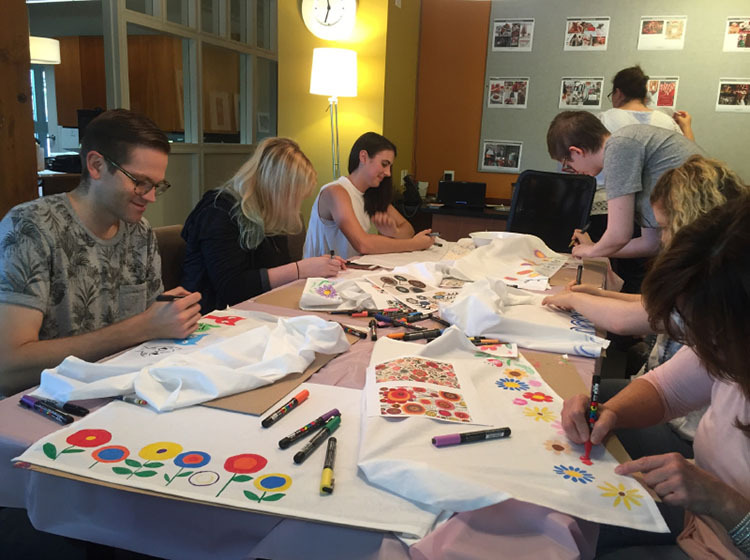 They strive to provide services that facilitate self-sufficient and independent living in an environment which promotes personal dignity. Watch D.O.G.S. 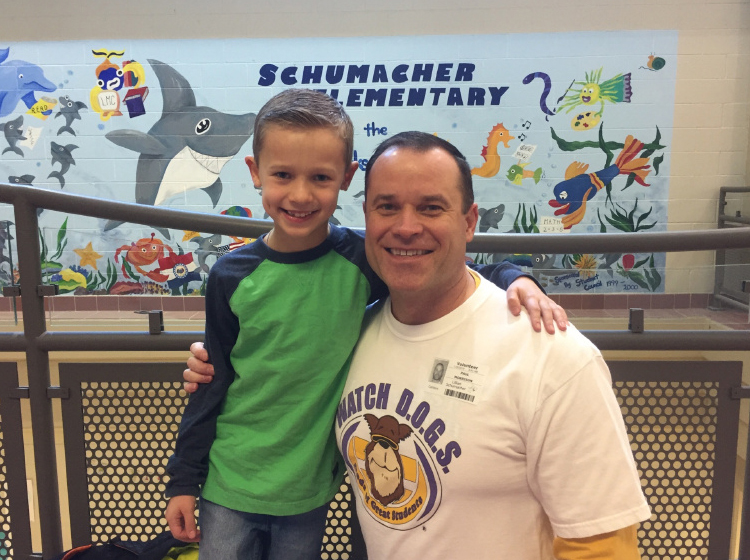 (Dads Of Great Students) is an innovative father involvement, educational initiative of the National Center For Fathering that provides positive male role models for the students, demonstrating by their presence that education is important; enhance school security; and reduce bullying. 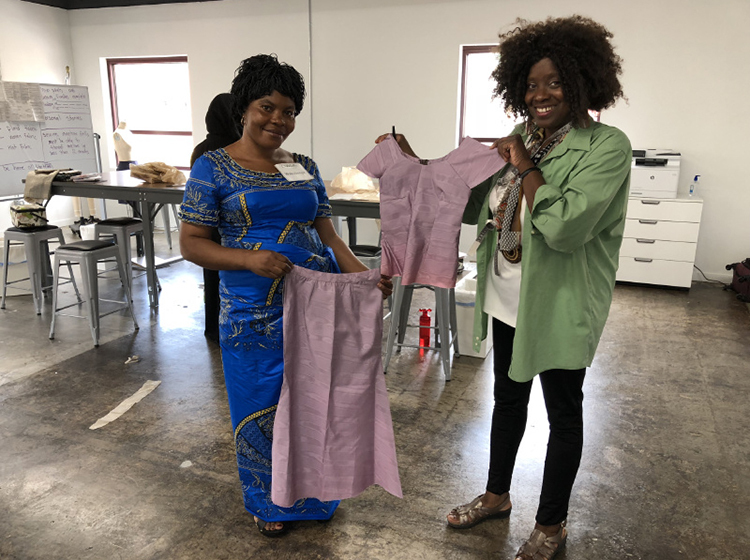 Rightfully Sewn is one of DEMDACO's community partners here in Kansas City. They provide seamstress training for at-risk women in need of job skills. They're doing great work to change lives and influence an industry. We're grateful to be able to partner with them in this work. Rightfully Sewn's mission is to provide seamstress training for at-risk women so they can thrive in a specialized workforce that will re-establish Kansas City as an epicenter of garment manufacturing, while at the same time, propel Kansas City fashion designers to market so they can supply the burgeoning demand for high-quality, American-produced garments. In 2016, DEMDACO made financial contributions of more than $5,000. 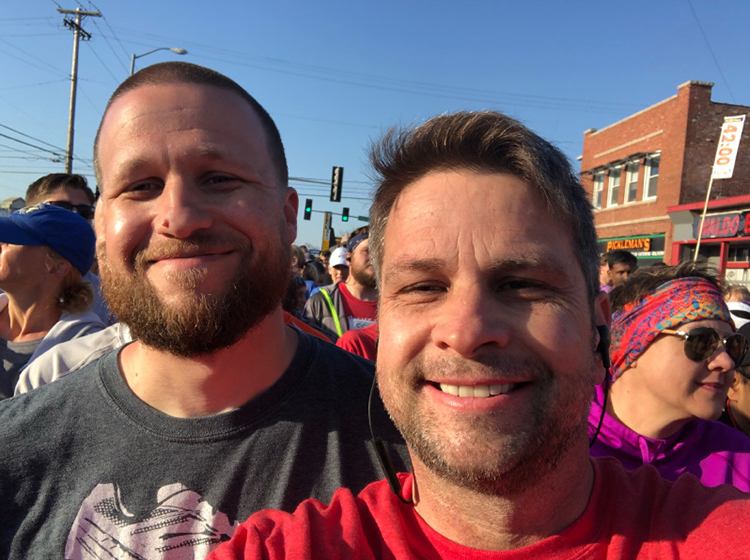 The Trolley Run is an annual four-mile run along Kansas City’s Trolley Trail that occurs each spring. The event that supports CCVI (the Children's Center for the Visually Impaired) in preparing young children who are blind or visually impaired, including those with multiple disabilities, to reach their highest potential in the sighted world. They provide a comprehensive program for children, birth through school age, including highly-specialized instruction, therapies and family education. In addition, DEMDACO made financial contributions of more than $5,000 in 2017. 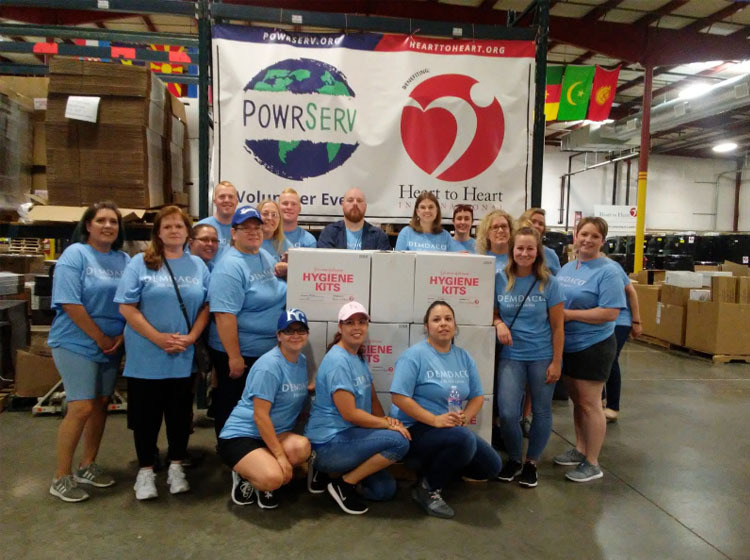 Harvesters’ is a regional food bank that fights hunger by serving a 26-county area of northwestern Missouri and northeastern Kansas. Harvesters provides food and related household products to more than 620 not-for-profit agencies including emergency food pantries, community kitchens, homeless shelters, children’s homes and others. They also offer education programs to increase community awareness of hunger and teach about good nutrition. 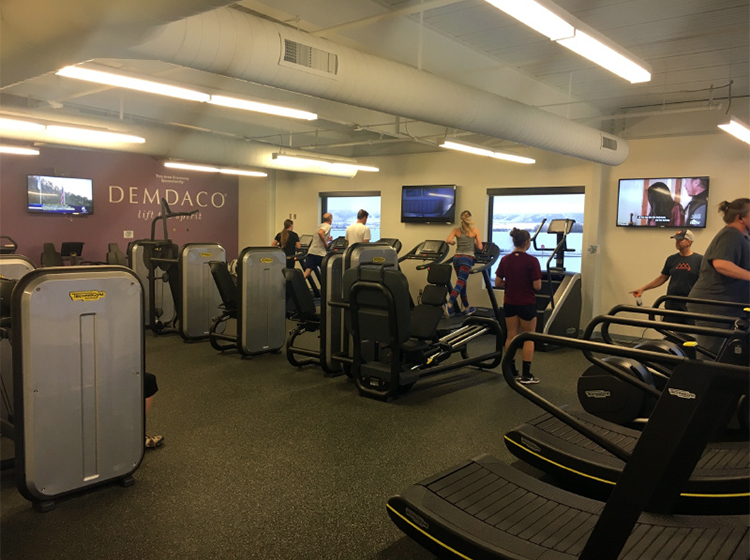 DEMDACO donated funds to help build a new workout facility at the Gallatin Valley YMCA, an organization our colleagues in Montana support. More than just a gym, the Y is a powerful association of men, women and children of all ages, from all walks of life, joined together by a shared passion to strengthen the foundation of our community. We focus our work in three key areas, because nurturing the potential of kids, helping people live healthier, and supporting our neighbors are fundamental to strengthening communities. DEMDACO made financial contributions of more than $5,000 in 2016 and 2017. Hope & The Holidays provides gifts, food and support to families in and around Bozeman and the Gallatin Valley, during the holiday season, and all year long. We’re proud that our Montana colleagues support this organization and volunteers their time. DEMDACO colleagues give much of their time to volunteering and participating in community services events. 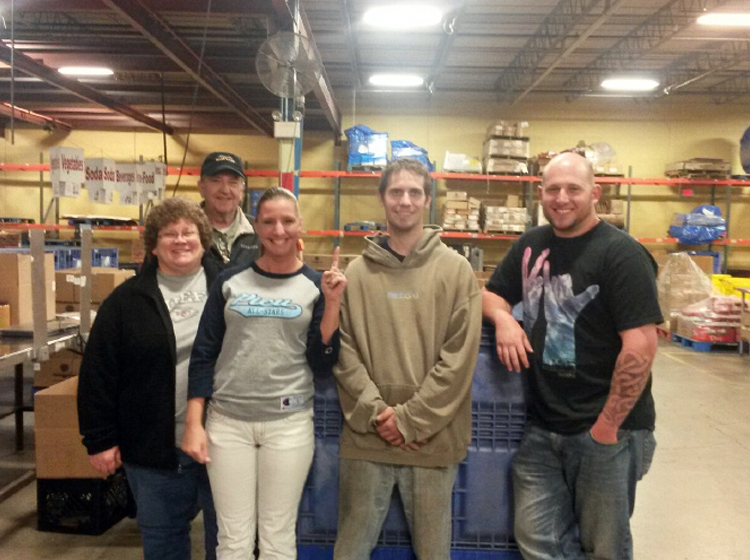 Not only is it a fun change from our normal daily work schedules, but we hope it helps to Lift the Spirits of others. Sometimes we’re able to contribute time and financial support to causes we believe share our mission. In some cases, we try to make a positive impact through donations.